All Mountgrange Heritage team members are carefully chosen by the Directors. We don’t just select people with great skills but also the right attitude towards clients. Our team is made up of friendly, can-do people. We hope you agree. 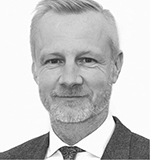 Michael has over 20 years’ experience in selling residential property and holds both a Fellowship in the National Association of Estate Agents and an RICS affiliated honours degree. His energy and enthusiasm are matched equally by his uncompromising professional approach to the business. Michael is a keen cyclist and a lover of the great outdoors; but finds much of his spare time is consumed by his twin daughters. Liz joined the Lettings Department of a well-respected local agent at the age of 25. Having studied modern languages and business at university, she had always thrived in a sales environment. Within three years she was running the lettings team and had amassed a tribe of loyal clients. Now with over 20 years in the business, Liz has a well-deserved reputation as a big hitter in the local lettings market and unrivalled experience of dealing with Landlords and Tenants. 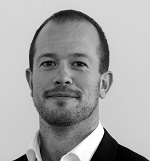 Tim cut his teeth in estate agency in St Johns Wood in 1999 and then moved back to Notting Hill, the area he knows and loves best and indeed where he grew up, to further his career. Tim’s focus is on providing exemplary client service in an increasingly corporate marketplace and Mountgrange Heritage with its independent status and competitive edge was an easy choice for his next career move. 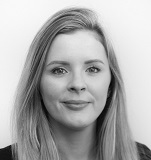 Chloe’s career in estate agency started in 2006 after leaving the world of teaching and she’s never looked back. Having previously worked for a more corporate agent, Chloe loves working in a more intimate sales environment where she is constantly expanding her expertise. Chloe adores the diversity that Kensington and Chelsea has to offer; from the buzz of Notting Hill to the more family focused pockets of Holland Park and Kensington. With a German husband and son in tow, Chloe divides her time between London and Hamburg, the most British of the German cities. Annabel was born and raised in London and has experienced its vibrancy and culture first hand, she has always had a passion and interest in London and its wide array of properties. After graduating from the University of Portsmouth and obtaining a degree in Sociology, Annabel threw herself straight into the property industry starting at a large corporate estate agency and specialised in short lets during her time. 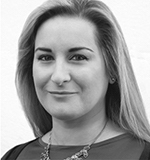 6 years later she progressed onto Mountgrange to offer a more personable and specialised service for landlords, bringing with her an array of experience particularly within the short let market. 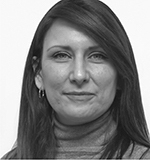 Karina has worked in residential lettings in Central London for 14 years. 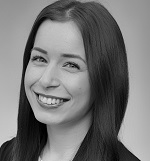 With a degree in law and experience in many areas of the industry including; front of office lettings, renewals and refurbishment, Karina has gained a wide range of knowledge of the lettings market. Karina has a keen interest in music, history and politics but also enjoys travelling, socialising and weekends in the country with her large extended family. 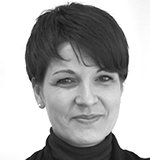 Nichola has over 15 years’ experience in the property industry. 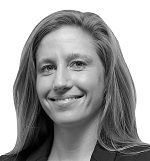 Working her way up through the industry she spent 11 years with a private property investor in west London helping to build and maintain a significant portfolio before joining Mountgrange to spearhead the growth of our property management portfolio. Her qualification in interior design enables her to add an element of design expertise to the refurbishments she project manages for our clients. 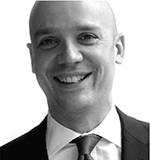 Sam has been selling property in the Royal Borough of Kensington & Chelsea for 20 years. He loves building a rapport with buyers and vendors alike; thriving on the interaction with people of all backgrounds and nationalities. 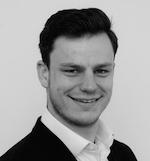 He is currently increasing his skillset by training to become a Chartered Surveyor. He is also a keen sportsman and spends most of his spare time trying to keep up with his two competitive tennis-playing daughters. 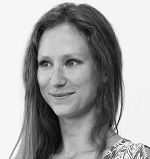 Laura joined the company in 2007 having initially worked in Media Marketing at a Publishing Company in Budapest. 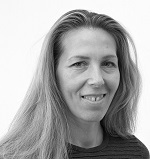 Laura has been instrumental in maintaining a high level of efficiency in our Accounts Department. 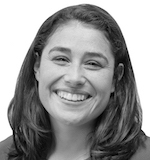 Having lived for several years in the Kent suburbs with her young family she enjoys the energy of Notting Hill during the week. Matt recently moved back to London after spending nine years living in Dubai. For three of those years he was working for one of the largest real estate agencies in the Middle East. Matt explains that the real estate industry is very different in the two countries but what is still the same is the satisfaction he gets from helping someone find their dream home. Outside of work Matt has a huge passion for fitness and competes in adventure races and triathlons. 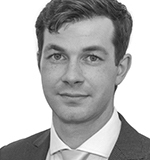 Matthew went straight into property after studying international politics and has worked in the industry ever since. 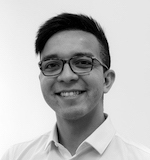 He is always thrilled to meet new people and see new properties and for him the key to his role is about building that essential long-term working relationship with clients with a focus being firmly on excellent customer service. During his free time, Matthew enjoys playing squash and embracing all the culture that London has to offer. Rachel has been working in the property industry since graduating from the University of Reading with a degree in Philosophy. She started her career at a corporate agency which gave her great foundational skills in Tenancy Management. Once established Rachel sought to move to an agency with a more personal feel and the opportunity to really engage with her clients, Mountgrange Heritage was the perfect fit. In her spare time she enjoys running, seeing friends and exploring London’s many bars and restaurants. 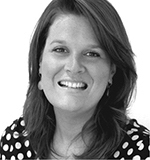 With over four years’ experience in Property Management, Rachel started her career at a large corporate company in Bracknell where her portfolio covered properties in Southwest Oxfordshire & Henley. Rachel decided to make the move to London where she found her passion for the property market. Working for a smaller agency, this allowed her to be hands on and have a personable approach. Outside of work, Rachel enjoys exploring all the different areas London has to offer whilst socialising with friends. Veronica completed a BA (Hons) in Fine Art Painting before turning her attention to property. Now with over eight years’ experience in the industry and an NFoPP Level 2 qualification under her belt she focussed her expertise on the fast paced area of property management. Alexandra began her career in retail, working for one of the most well-known names on the high street for a number of years. Her love for property and interior design coupled with the wealth of transferable skills gained from her time in the retail sector inspired her to move to real estate. Her first step into the industry took her to the Lettings Department of a well-established independent agency in prime Central London where she spent just over three years. In her spare time, Alex enjoys practising yoga and seeking adventures in the outdoors. 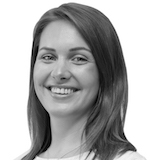 Camilla was previously working in an administrative capacity for a family run property portfolio management company based in Chelsea. After 3 years she felt her passion was for residential property and as she really enjoys meeting new people and has boundless energy and enthusiasm decided that working in lettings in Notting Hill was the perfect place to hone her skills. Jack studied Civil Engineering at Cardiff University where he was also involved in high performance sport, competing for Wales in rowing at the Commonwealth Games. After leaving University he went on to coach rowing in a private school and alongside his coaching he played an important role in his family’s property development company. Taimi has worked in smaller “start-up” environments as well as larger corporate ones throughout her career so far. She has now settled at Mountgrange and appreciates being part of a close knit, friendly team. 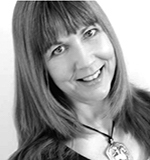 With her warm personality and personable nature she offers a bespoke approach to each client and scenario. Being from Estonia and having a strong sense of community, Taimi attends a local folk dancing group in her free time which makes her feel at home. Matthieu moved to London from France 10 years ago and started off his career in hospitality. He transferred his skills to property a couple of years ago and has never looked back; having cut his teeth in a large corporate agency he quickly realised that he would prefer to be working for an independent where he could refocus on customer service and being part of a smaller more creative team of property professionals. Fluent in four languages Matthieu is a valuable asset to the Mountgrange team. Jack began his career as a personal trainer before finding his passion in property and has never looked back. Having started out in corporate agency in his home town of Oxford, he loved building strong relationships with his clients and helping them create amazing spaces to call home. Jack can be found on the rugby pitch when he isn’t working his deals..
Lauren started her career in Hotel Management and has subsequently worked in the property industry for over 10 years; she fully understands the importance of true customer service and will always go the extra mile to help. 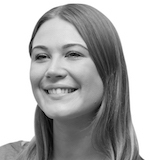 Lauren uses her natural organisational skills to facilitate the smooth running of our busy North Kensington office. Originally from Cape Town, Lauren enjoys playing tennis, is a huge animal lover and enjoys the great outdoors. 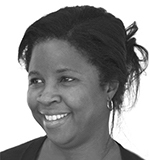 Sharon has been working in the world of Estate Agency for over 20 years and is still going strong. Her role as Office Manager is pivotal in the efficient running of our busy Notting Hill office and her calm manner and approach have a positive influence on the team. 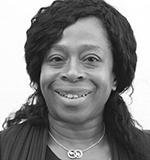 Brenda moved into the world of estate agency over 15 years ago and her role as a Senior Coordinator in our Property Management Department is invaluable. She is the lynch pin of the team and makes everything run smoothly; her attention to detail and efficiency is second to none. Brenda enjoys the variety in her role and the problem solving element of work she does.